Do you feel like you worry too much about every little thing that happens in your life? Are you so concerned that your worries will happen that you don’t live your life to the fullest? The happiest people take a long-term view of life rather than allowing themselves to be caught up in the turmoil and details of each day. They take things one day at a time. They teach themselves how to stop worrying by practicing a greater degree of detachment and thereby keep themselves calm and relaxed in the face of life’s little ups and downs. You learn how to stop worrying and start living better by making a decision today to let go of problems and irritations that occurred in the past that you can do nothing about. Decide to forgive and forget anybody who has hurt you in any way. Keep your attention focused on the future and where you are going, rather than on the past and who was to blame. Life is too short and you need to love yourself. You develop a better perspective on life by realizing and accepting that you are a thoroughly good person. You are honest, helpful, loyal, kind, compassionate and friendly. You can feel free to love yourself, respect yourself and be proud of yourself for the person you have become and for the life you are living. You don’t need to explain yourself or make excuses to anyone else. One of the best ways to stop worrying and start living is to take things one day at a time. Forget what has happened in the past that you cannot change and don’t worry about what might happen in the future. 99% of the things that you worry about will never occur. You can always use the “worry buster” formula to clear your mind. If there is a problem in your life that is causing you to worry, remember that most things you worry about never happen anyway. There are four steps to applying the worry buster to your situation to help you stop worrying. 1) Define your problem clearly. Accurate diagnosis is half the cure. What exactly are you worrying about? 2) Ask yourself, “What is the worst possible outcome of this situation?” Be clear about exactly what could happen. 3) Resolve to accept the worst possible outcome, should it occur. Whatever might happen, decide that you will be able to live with it. It won’t kill you. Take it one day at a time. Now you have found how to stop worrying. 4) Begin immediately to make sure that the worst possible outcome does not occur. Think of all the creative things you could do to minimize the worst possible occurrence. Pretty soon you will be thinking positively and creatively again and will be back in control of your life. A sense of control is the key to a long and happy life. The more you feel in control of yourself and your life, the more you will love yourself and the happier you will be. The more you accept complete responsibility for every part of your health, happiness and relationships, the more in control you will feel, and the more powerful you will be. The more in control you feel, the more confidence and personal pride you will have. The more you feel in control of your life, the higher will be your self-esteem, self-respect and personal pride. Resolve today that you are going to live a long and happy life. This is the very best time in all of human history to be alive and you are one of the very best people to be alive at this time. Remember that the more things that you give thanks for, the more things you will have to give thanks for in the future. The more you give of yourself without expectation of return, the more wonderful things that will come to you from the most unexpected sources. Resolve today to live a long, happy, wonderful life. Love yourself, take life one day at a time and do everything you can to make your dreams come true! 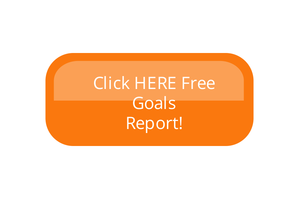 Take the time right now to download my FREE “GOALS REPORT” and stop worrying and start living! Thank you for reading my blog. Please share it with your friends and click the button below to download my FREE Report.